The perfect location to experience it all, this flat nestled in the unique and accommodating neighborhood of Wagram grants you easy access to all that Paris has to offer all the while being a short walk away from Arc de Triomphe, Etoile, and the bustling night life and restaurants on Champs Elysees Avenue. 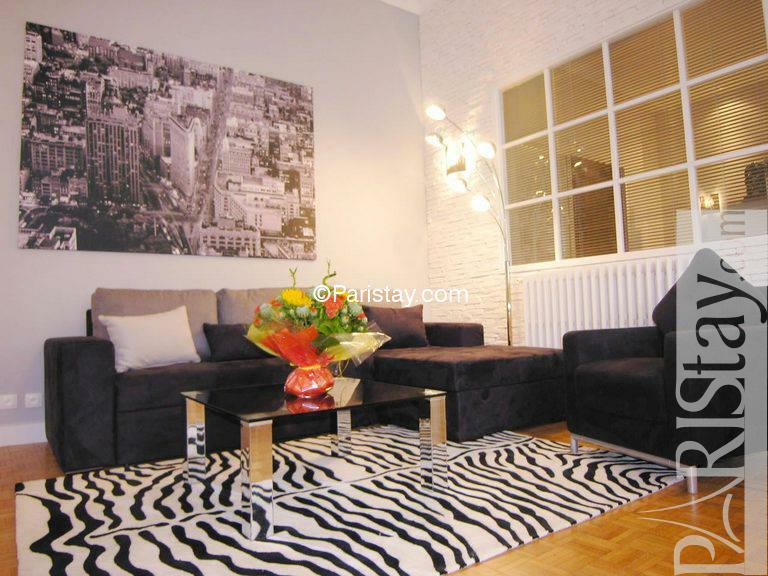 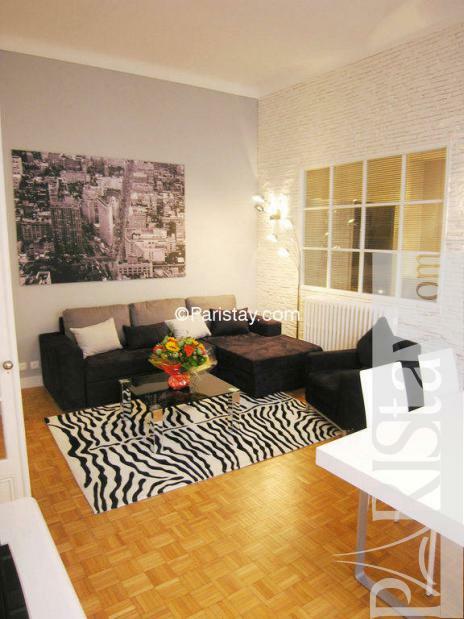 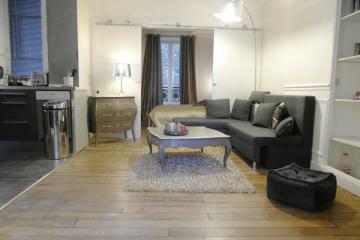 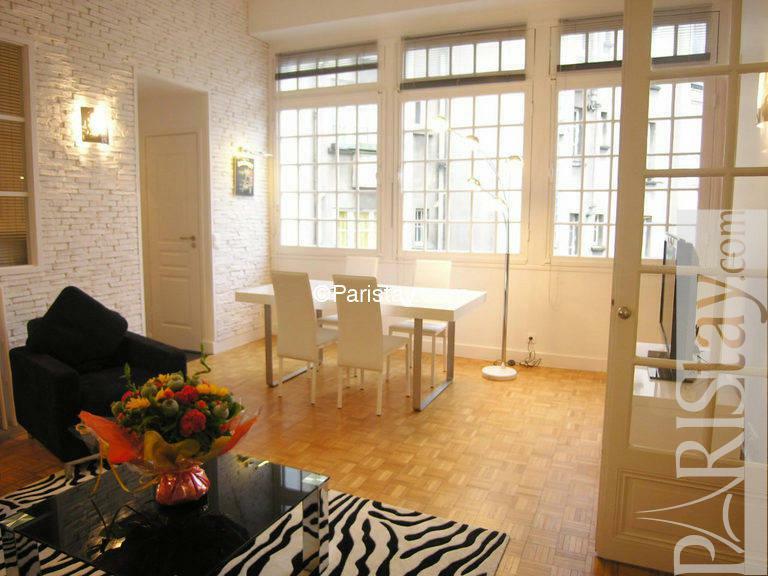 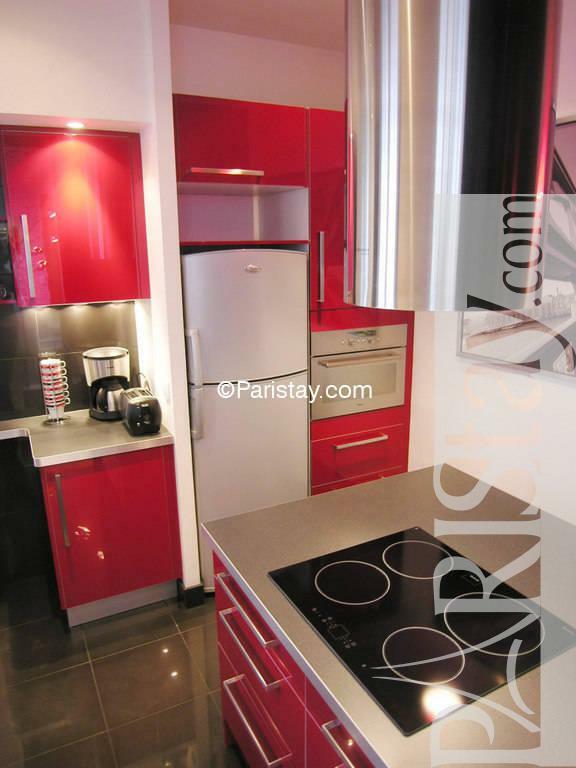 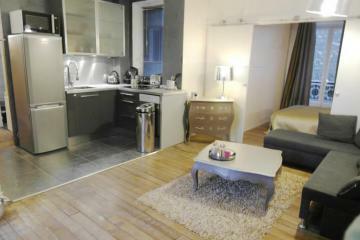 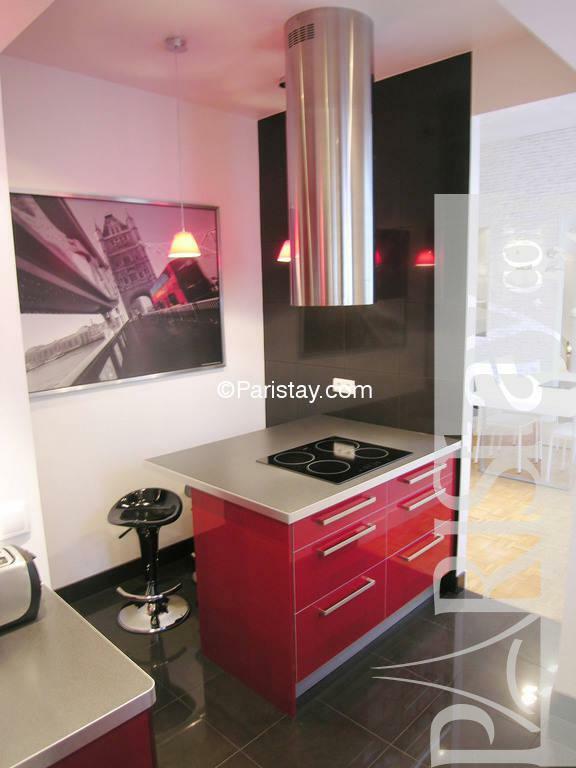 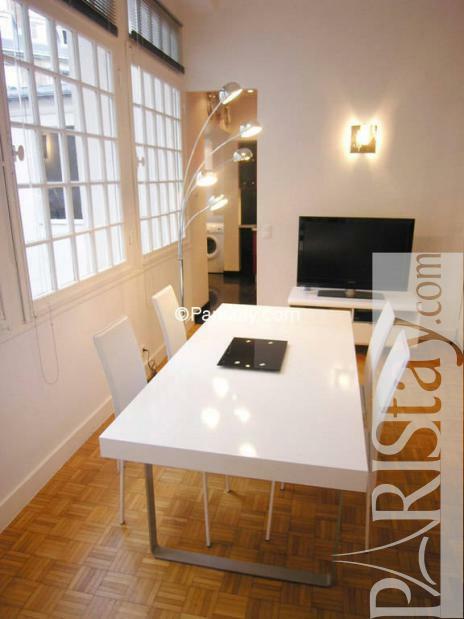 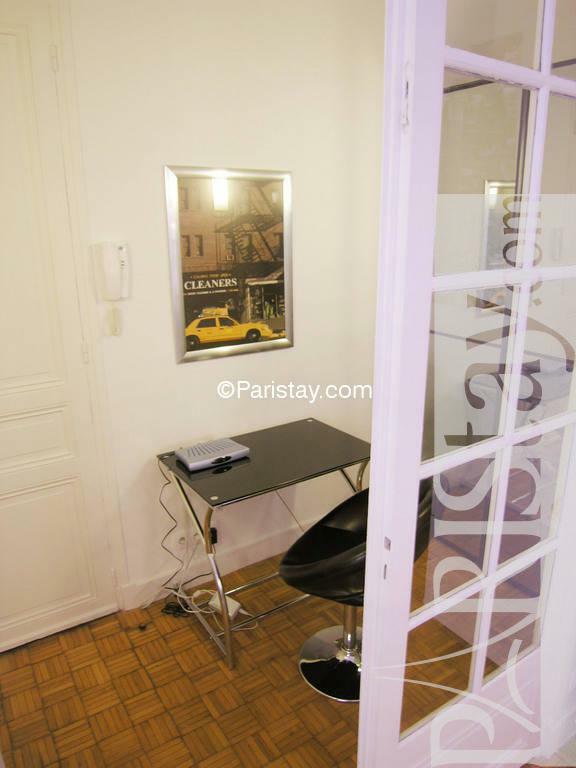 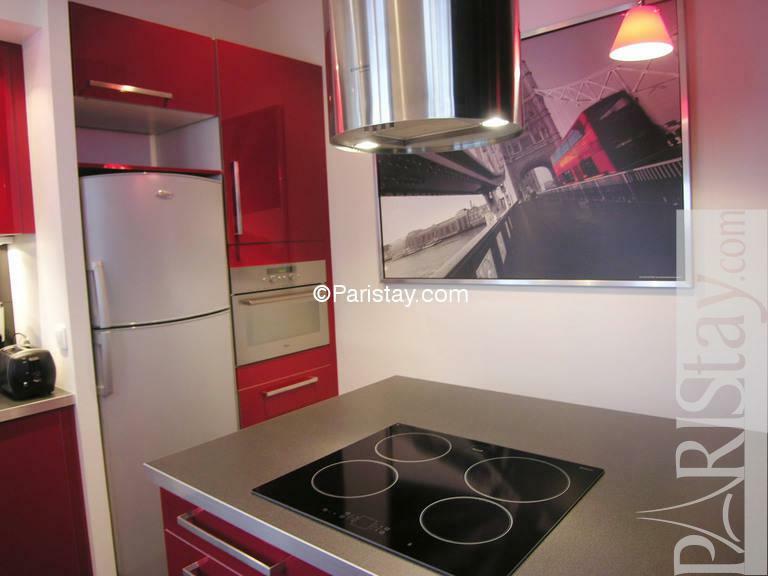 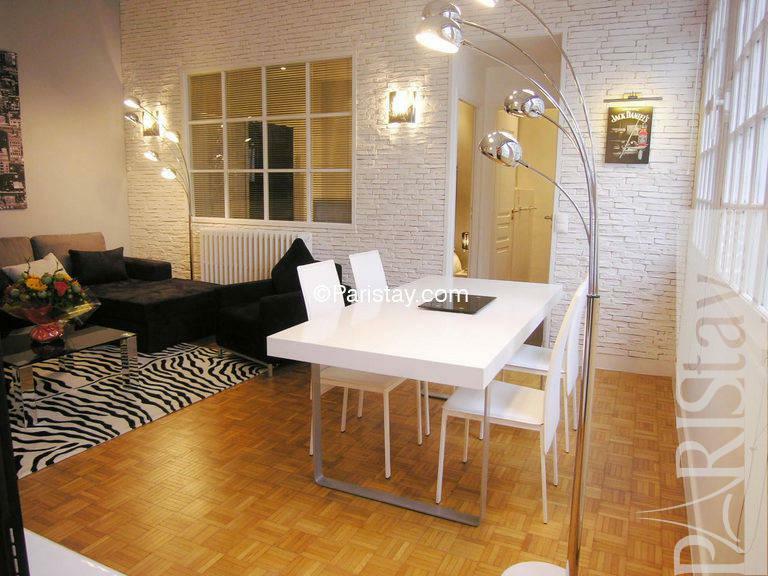 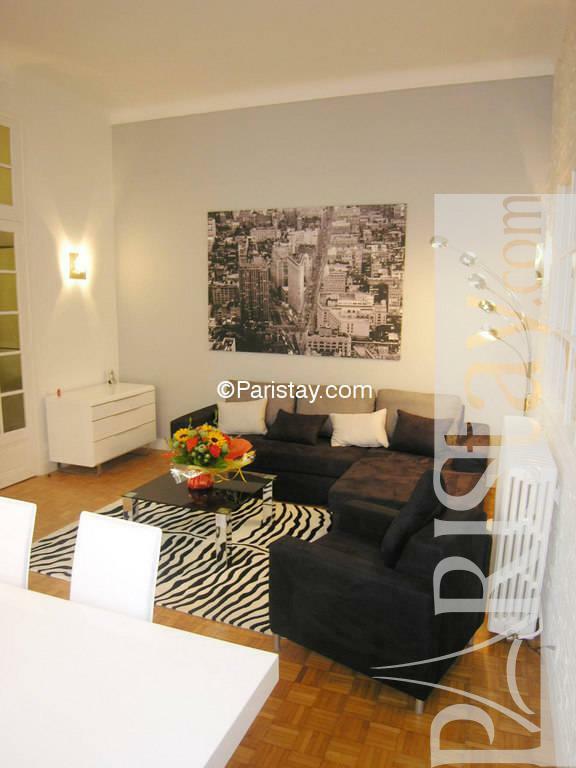 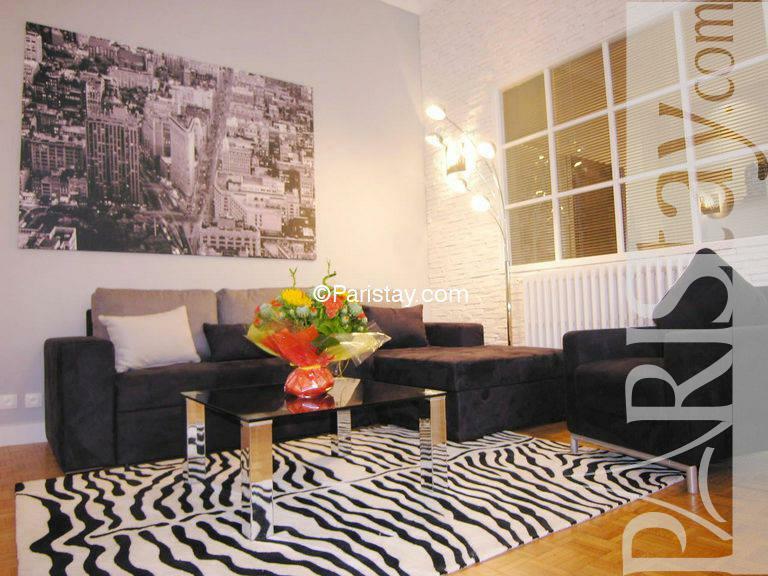 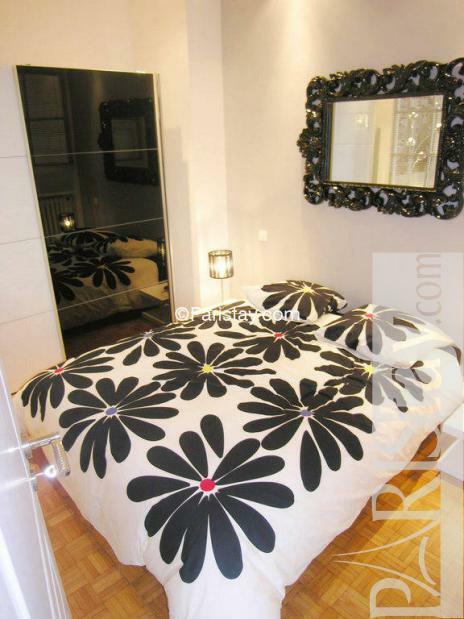 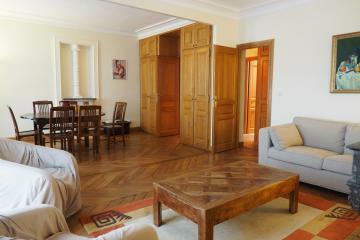 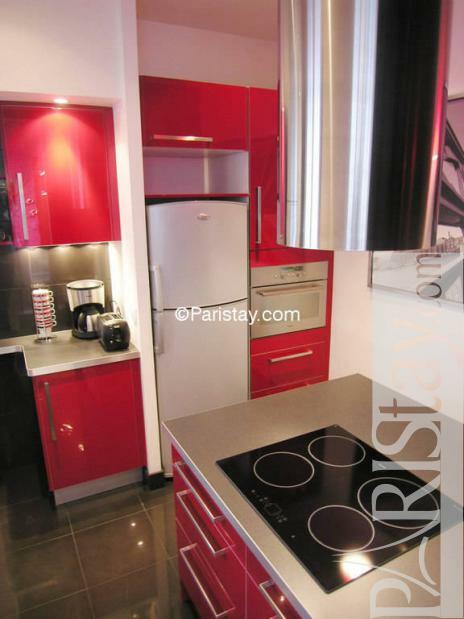 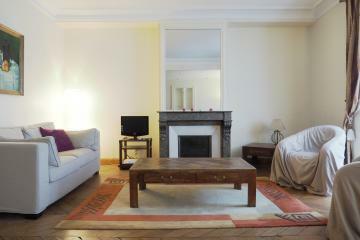 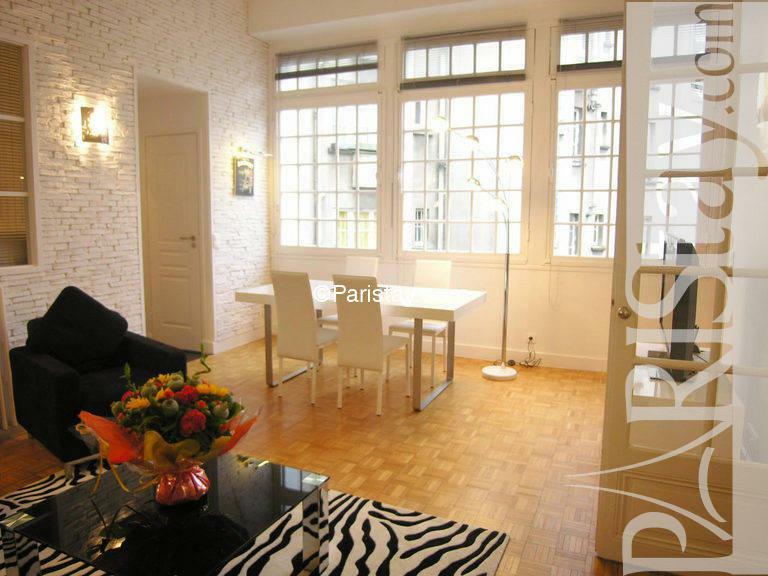 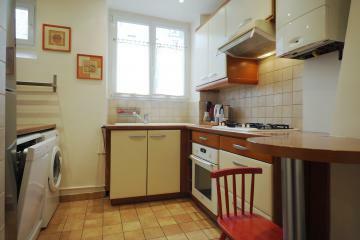 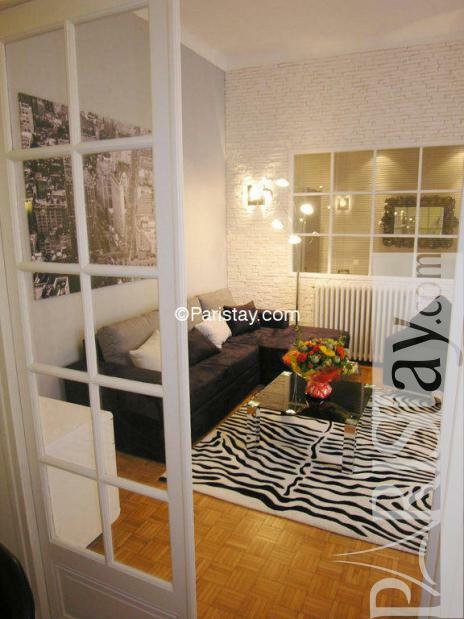 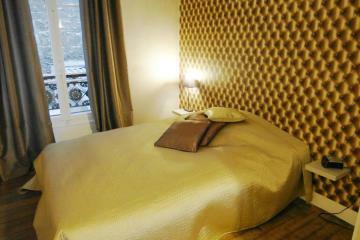 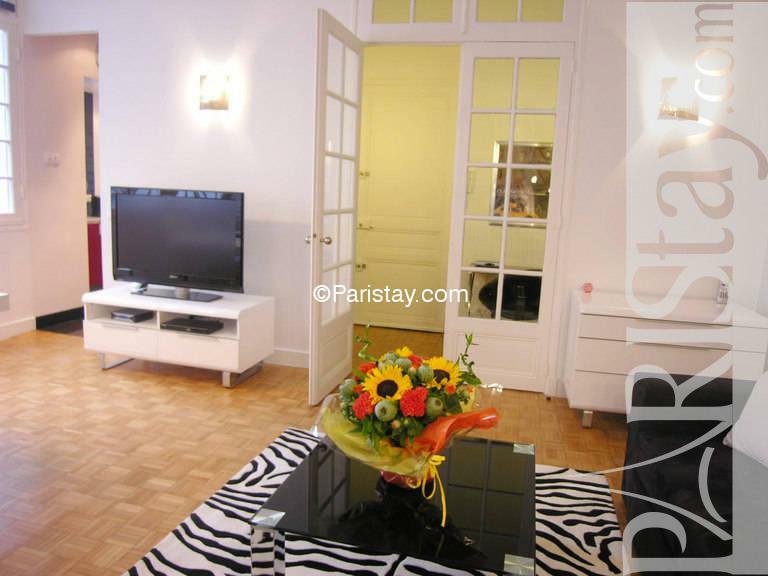 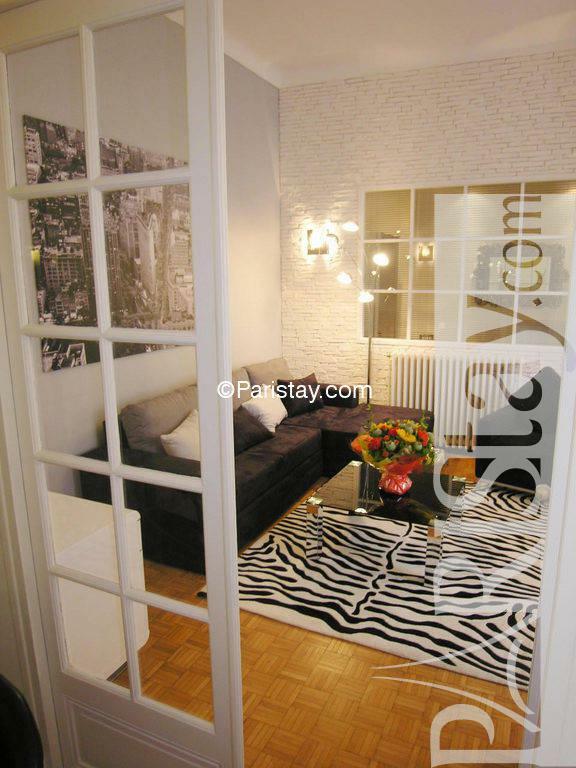 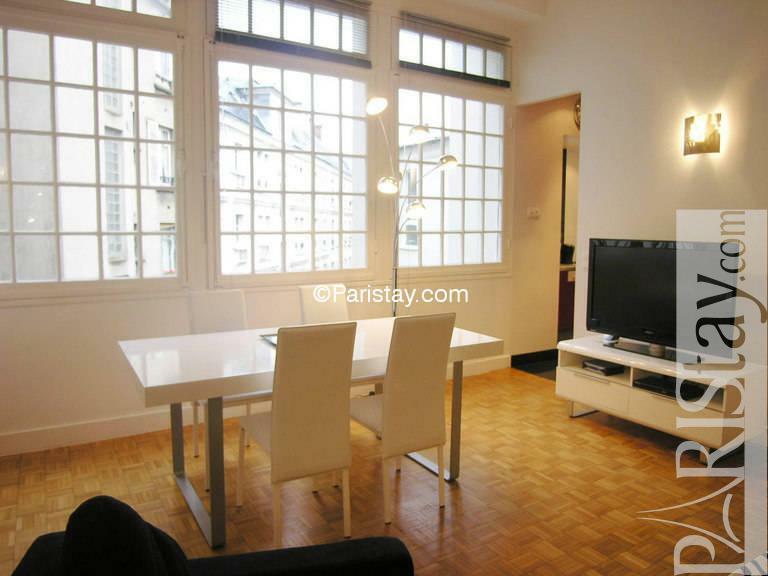 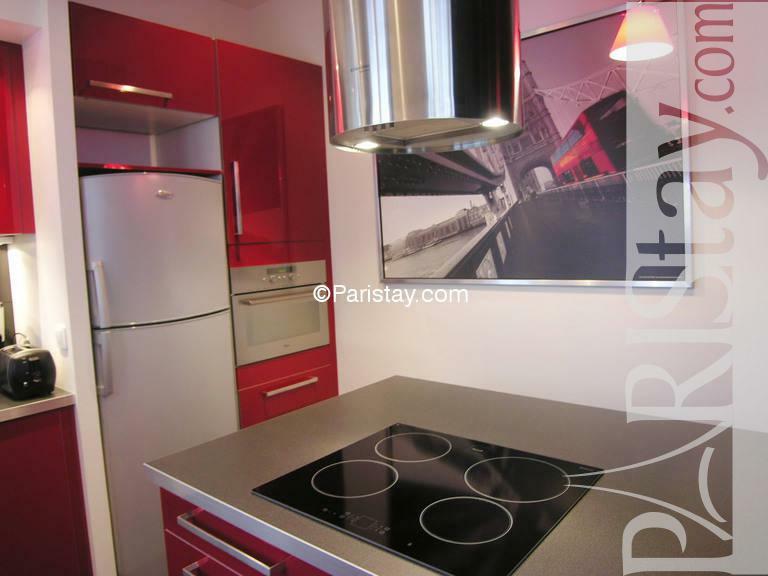 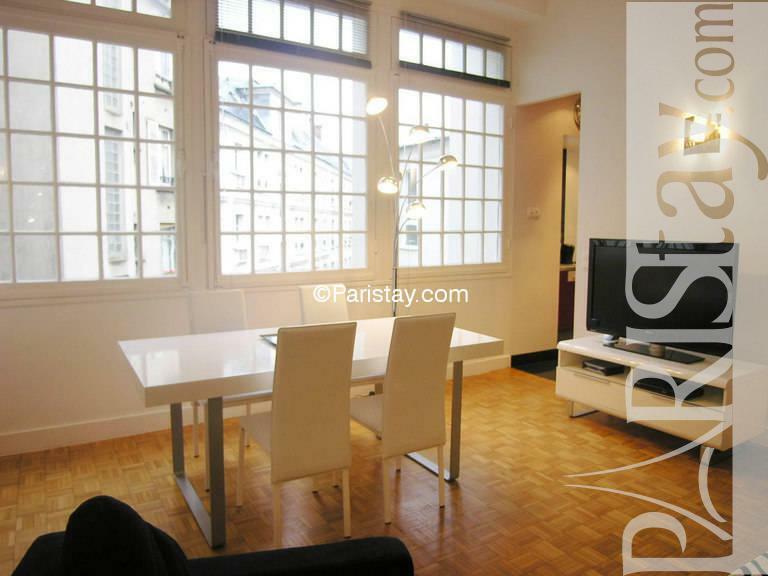 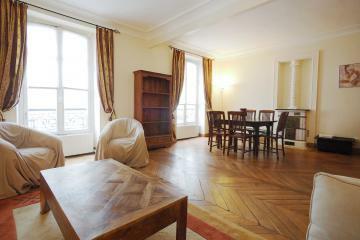 This sophisticated Paris one bedroom apartment is highlighted by modern and high quality furnishings. 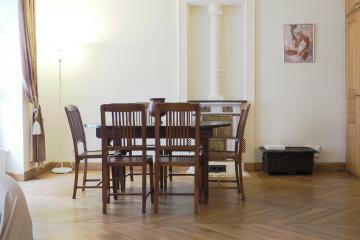 As you proceed into your new home you’ll be greeted by large windows, wooden floors, comfortable sitting area, dining table and TV. 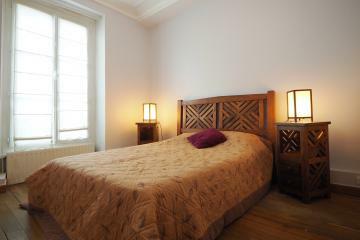 Take a peek into the bedroom and you’ll find a room fit for royalty, the comfortable queen sized bed is the perfect place to lay your head and read a book after a long day exploring the city. 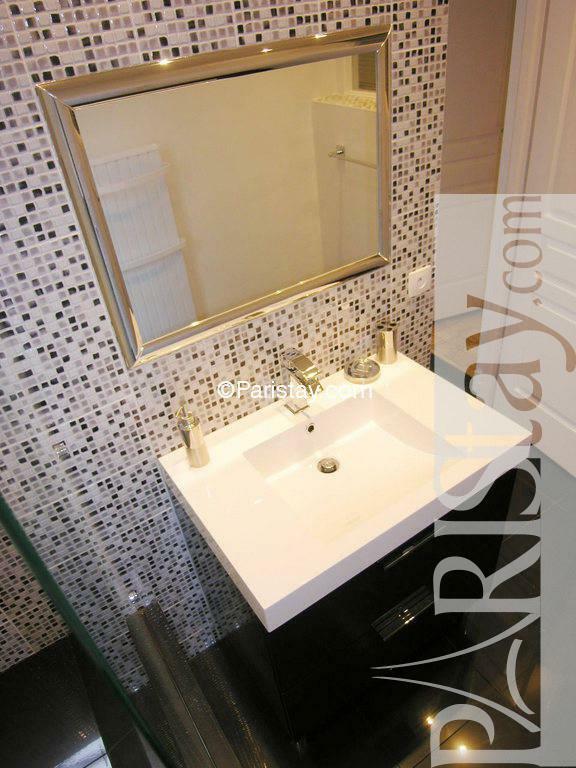 The spacious bathroom is amazing, housing a full sized shower for relaxing, and tiles all around you; you’ll never want to step in another cramped Paris restroom again. 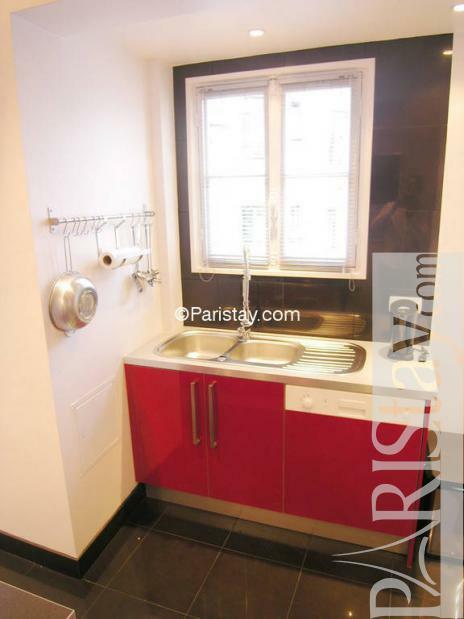 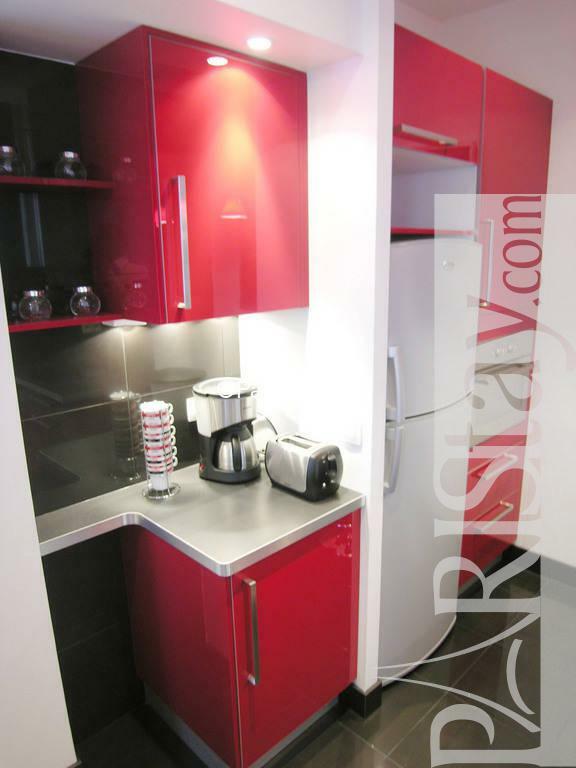 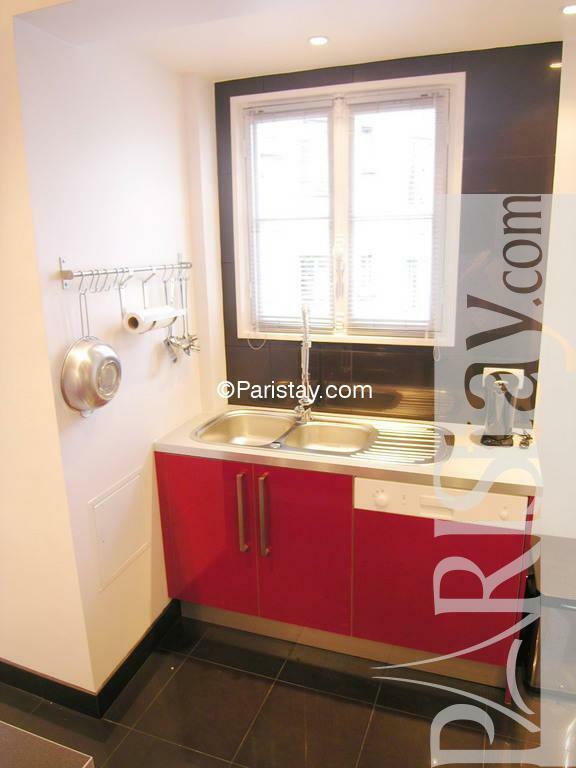 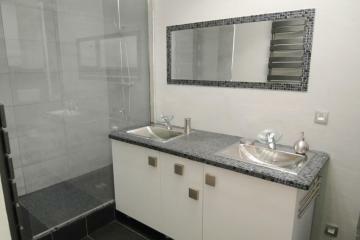 There is a fully equipped kitchen that contains also a washer. 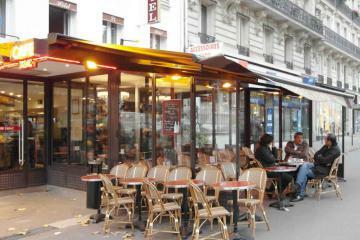 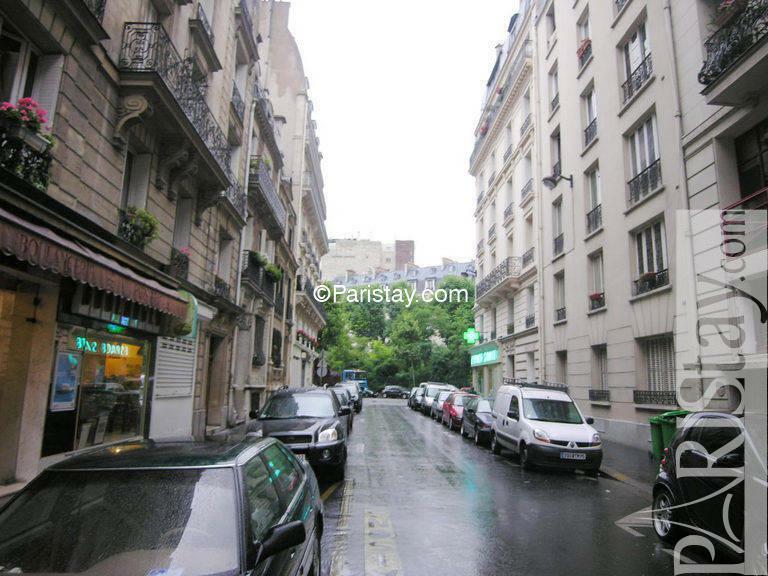 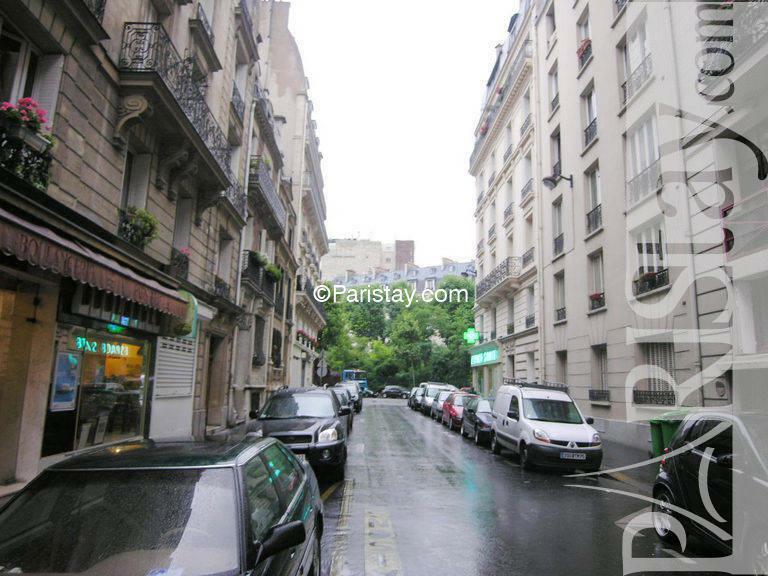 So no matter what your need, a vacation stay, a place to lay your head on an extended long term rental in Paris, a business trip, or whatever you needs may be...this is the right place for you, you haven’t experienced all that Paris has to offer until you’ve spent some time in our Wagram condo and the neighborhood it calls home. 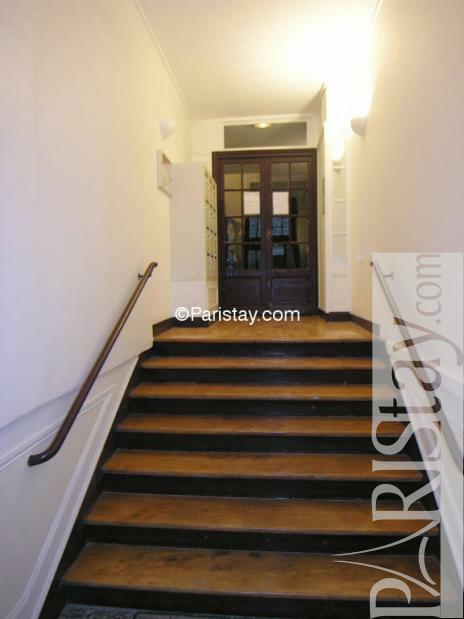 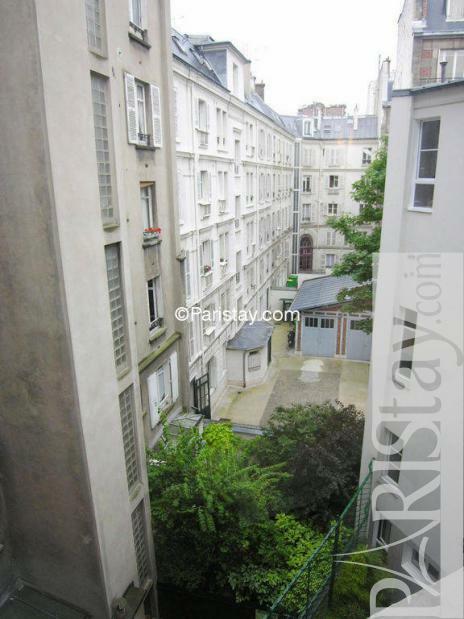 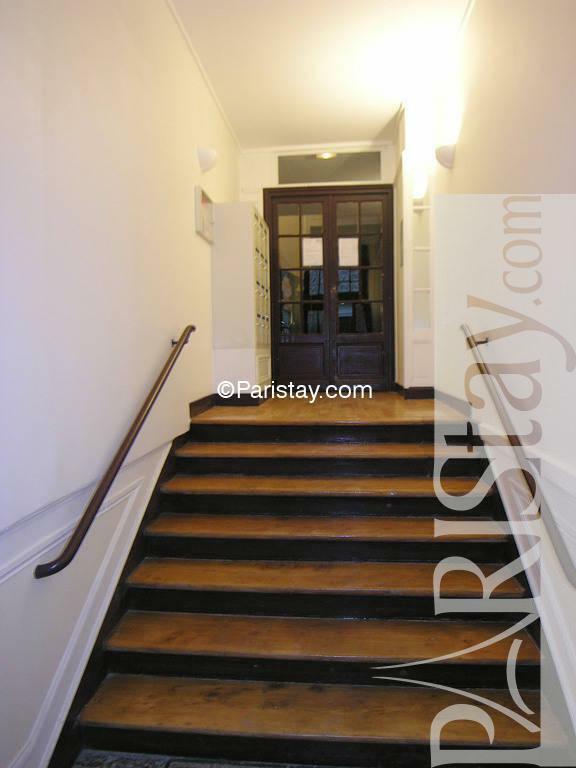 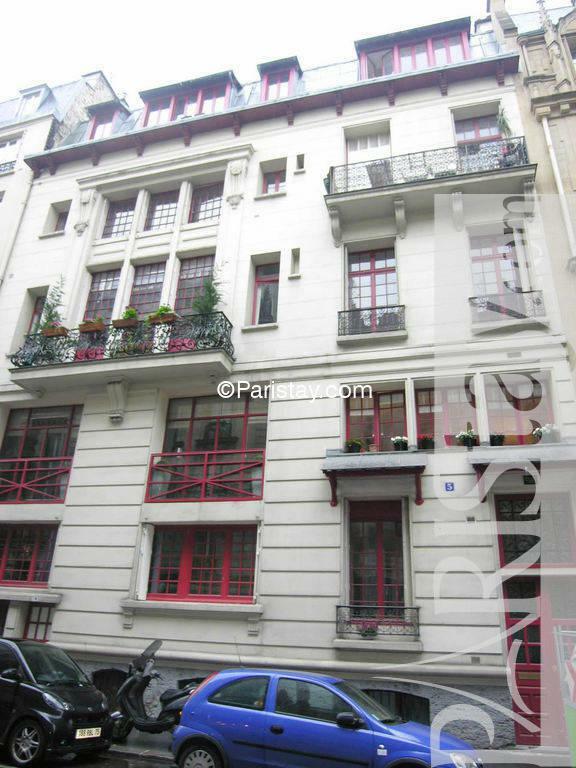 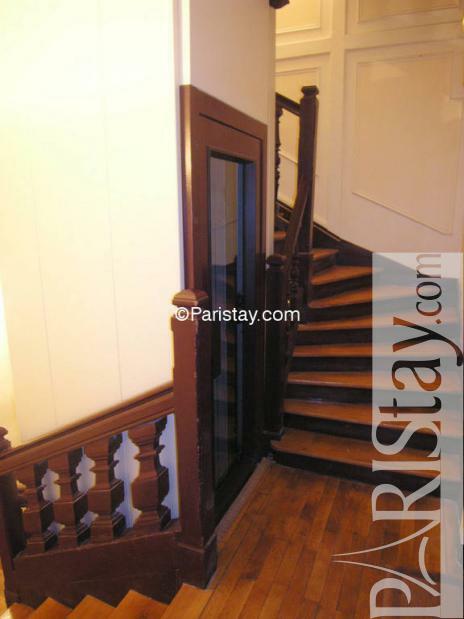 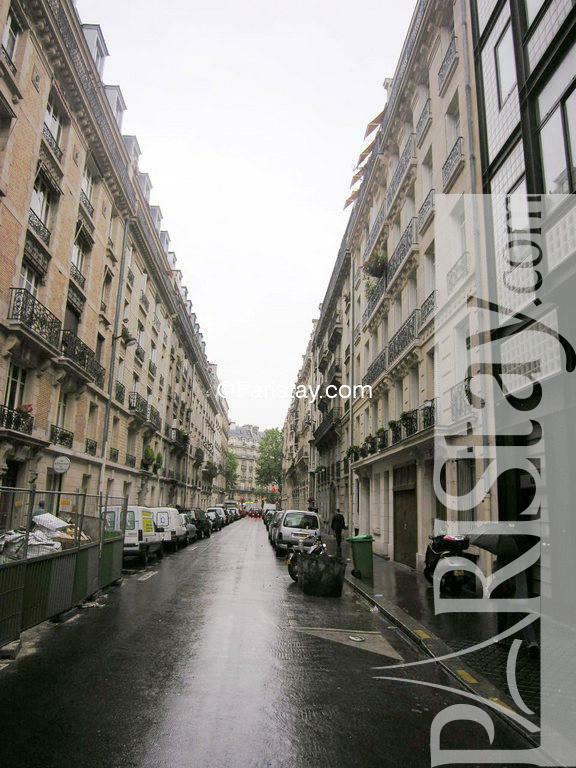 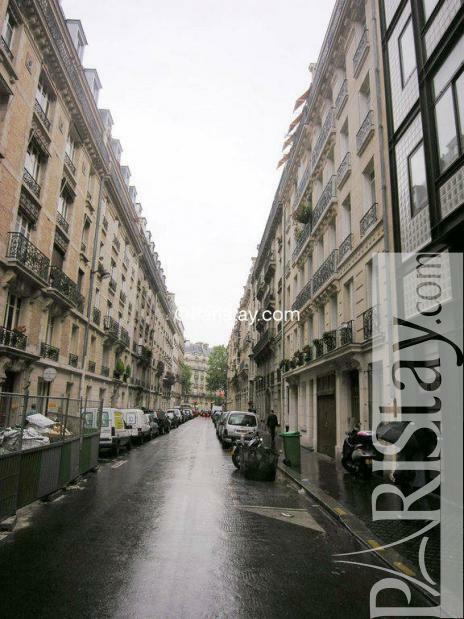 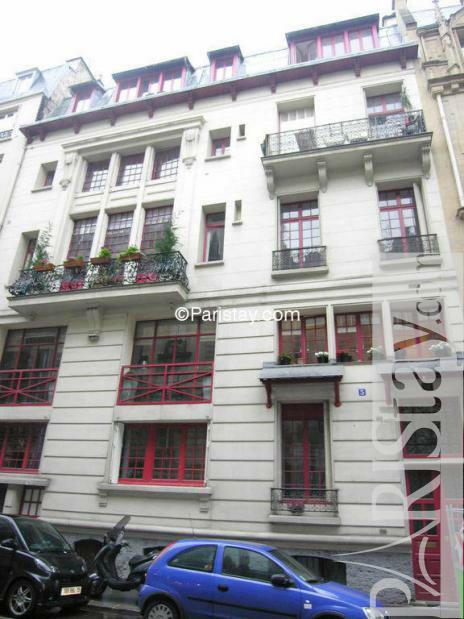 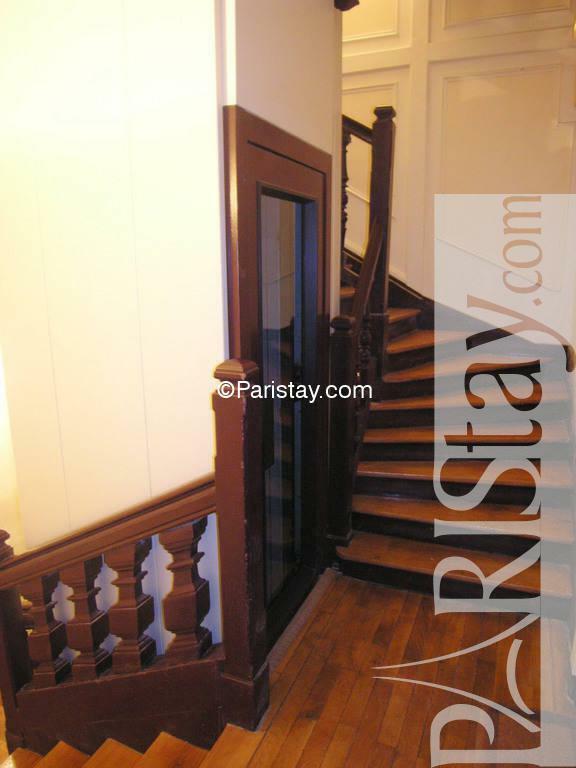 1915's Building, 3 th floor, with Lift, entry code security system, with intercom, 1 bedroom Appartement, furnished, Approx: 57m² / 613 Sq.Ft.